Saint Ephraim’s large quantity and heavenly quality of liturgical composition lends a particularly ephramite voice to not only the liturgy and prayer of the Church of the East but also to her theology. Therefore, before we spend more time analyzing the Orthodoxy or heterodoxy (un-orthodoxy) of the documents and theology of the Church of the East, let us look at what language our beloved and God-pleasing father in Christ, Ephraim the Great, imparted upon the Church of the East. 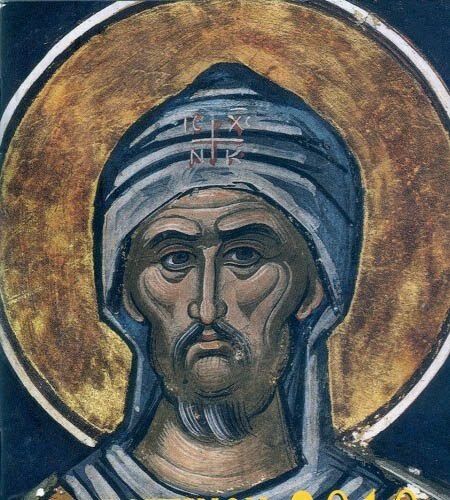 While later personalities such as Theodore of Mopsuestia and Nestorius of Constantinople have controversial teachings regarding the personhood of Jesus Christ, these teachings have to be understood and examined separately from the use of phrases that are merely borrowed from Saint Ephraim and the earlier tradition of the Church. Before we examine Theodore or Nestorius, we will separate out the orthodox and venerated language of Saint Ephraim, so we can deal with the writings of later figures more clearly. Especially, I’m looking to see if St Ephraim uses language such as God the Son dwelt in humanity; God the Son wore humanity as a garment; God dwelt in the temple of man. These phrases would later be charged as indicating an imperfect union or mere dwelling of divinity in humanity. Of course, St Ephraim fully believed in and defended the complete humanity and divinity of Christ in one person. He was at Nicaea and his writings bear out his clear and pure faith. I’m not going to embark on proving St Ephraim’s Orthodoxy; those who want that can avail themselves of the awesome translations out there and do some very uplifting reading—reading him is great even if you are positive of his Orthodoxy which I sure hope you are!. Blessed be the Physician Who came down and amputated without pain, and healed wounds with a medicine that was not harsh. His Son became a Medicine that showed sinners mercy. Blessed be He Who dwelt in the womb, and wrought therein a perfect Temple, that He might dwell in it, a Throne that He might be in it, a Garment that He might be arrayed in it, and a Weapon that He might conquer in it. St Ephraim calls the humanity taken from a virgin a Temple, a Throne, a Garment and even A Weapon. Above, St Ephraim does not call the womb the temple but what was “wrought therein”, which is the human nature of Jesus Christ; here St Ephraim does not mean that God the Son was wrought in the womb of the Virgin but the humanity of the incarnation. Let us concentrate on the words Temple and Garment and see how much he uses them just in the Hymns on the Nativity. The Son of the Most High came and dwelt in me, and I became His Mother; and as by a second birth I brought Him forth so did He bring me forth by the second birth, because He put His Mother's garments on, she clothed her body with His glory. Clearly here St Ephraim does not mean “put his Mother’s garments on” literally but as the Son of the Most High (Second Person of the Trinity) put on the garments of fallen mankind. This is St Ephraim’s language and it will be used by scores of Christians thereafter. He was wrapped meanly in swaddling clothes, and offerings were offered Him.— He put on garments in youth, and from them there came forth helps: He put on the waters of baptism, and from them there shone forth beams:— He put on linen cloths in death, and in them were shown forth triumphs; with His humiliations, His exaltations. All these are the changes of raiment, which Mercy put off and put on—when He strove to put on Adam, the glory which he had put off.— He was wrapped in swaddling-clothes as Adam with leaves; and clad in garments instead of skins.— He was baptized for Adam's sin, and buried for Adam's death:— He rose and raised Adam into Glory. The refrain of these versus when chanted is: “Blessed be He Who joined His Glory to His Passion!” The joining of the Glory of God the Son to the passion, on the cross, of the humanity taken from the Virgin is what hypostatic union is about (or prosopic union, if we’re using later Assyrian Church writers). While we maintain the distinctions and natures of divinity and humanity separately, we speak of one Christ and he who underwent passion as the same as the Glorious one. Many of the writers and thinkers who later used St Ephraim’s language of garment and temple to speak of Christ’s divinity were accused of Nestorian heresy. I do not believe for one instance that St Ephraim was a heretic. He works out an entire theology of salvation taking into account the fall (loss of garment), the incarnation (God puts on the garment of mankind), passion, resurrection and our own salvation, especially through baptism. The Hymns on Nativity are freely available at the URL sited above and are worth reading not only as theological works but also gorgeous prayers of the Church Universal. The purpose of this entry is to establish a sense of the orthodox and holy use of St Ephraim’s language as part of the Church’s inheritance. Of course, the Orthodox Church did not condemn the usage of temple or garment terminology itself. Many Orthodox thinkers have pointed out that such language could be interpreted as God the Son merely dwelling in Jesus Christ, a separate person inhabited by the separate person of God the Son, but this just means that temple/garment terminology can be used in the wrong way, which is an abuse of its Orthodox origins. What we can recover is a love of the poetry and depth in Saint Ephraim’s verse commentaries. With Chalcedon firmly grounding us, we can pray and be strengthened by the words of our Syriac heritage. Assyrians too can recover a sense of this ancient and poetic way of describing our salvation for it is a theology that later more scholastic writers neglect. May the prayers and intercessions of Saint Ephraim the Great strengthen us all. Dear father, thank you for your excellent blog which shows that these two groups should be still in communion, and corrects various misunderstandings caused by later over-analysing of writings (eg of Theodore of Mopsuestia who after all died in the church, and used words like St Ephrem did). May God bring an end to the schism.